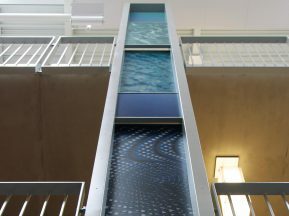 NKU METS Center is a 43,000 sq. 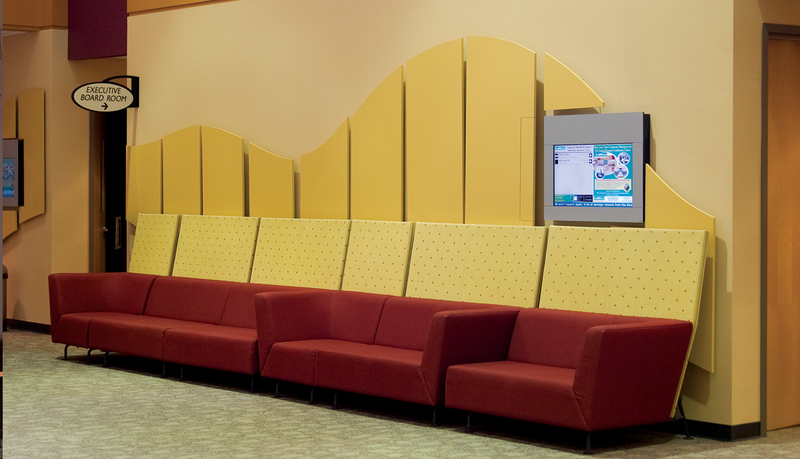 ft. technologically-sophisticated corporate meeting and training center. 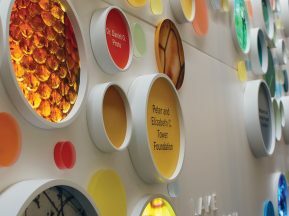 The meeting center is designed to provide the most advanced and effective meeting and learning space for corporate training professionals and business managers. 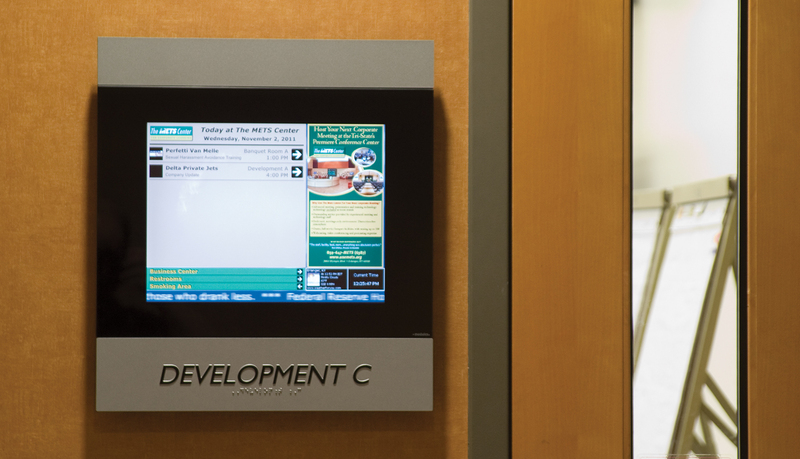 Because NKU METS Center is equipped with sophisticated advanced technology for presentations, the management staff wanted to integrate a digital wayfinding signage solution that would complement the interior architectural environment and work with the ultra-high technology look and feel that permeates the center. 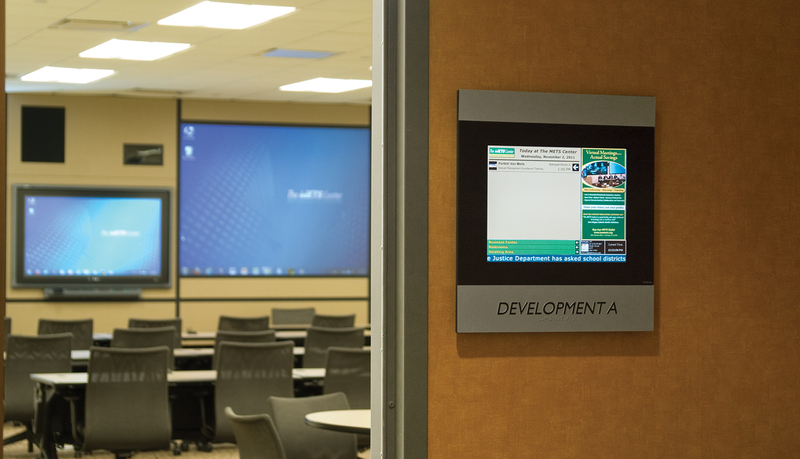 The digital signage solution also needed to communicate real-time meeting information and the NKU METS Center’s clients brand identity information to help visitors locate the correct meeting room for their specific training or meeting. 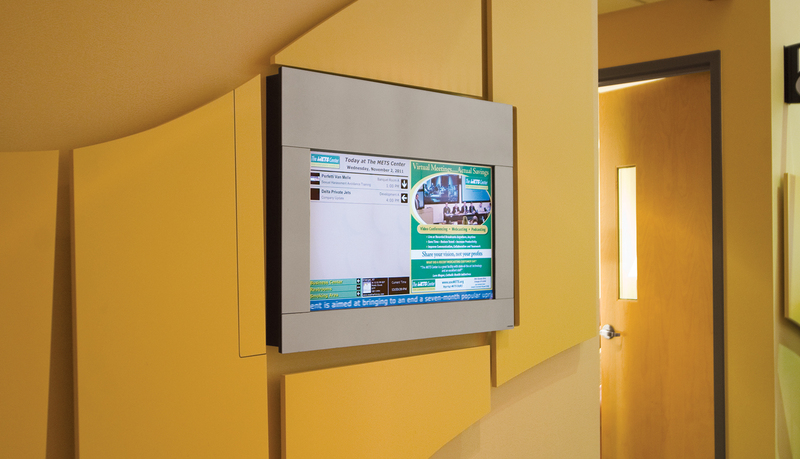 In partnership with the knowledgeable IT staff of NKU METS Center, ASI provided a turn-key dynamic digital signage solution to serve the wayfinding needs of the visitors and staff. 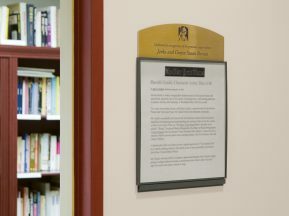 ASI provided a digital signage solution that consists of three wall-mounted directories and ADA-Ready™ room identification panels with integrated 15” room information displays. 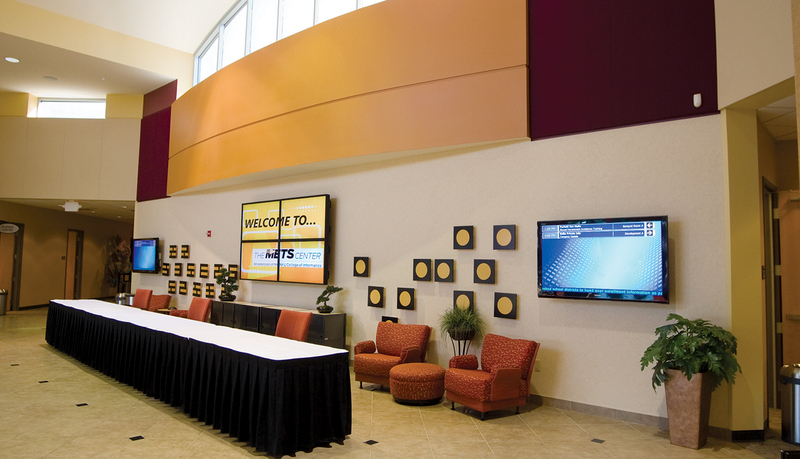 In addition, ASI provided hardware to facilitate multimedia content integration into the existing four-panel video wall and dual 70” flat panel displays in the main lobby. 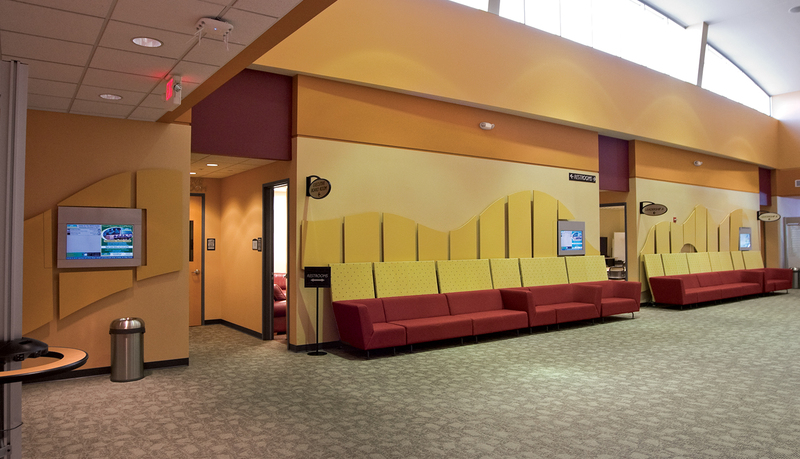 The modern, open-space architectural interior design plan included designated wall space for digital signage displays, and ASI’s standard digital signage system fit perfectly with the interior design as well as the allotted space. 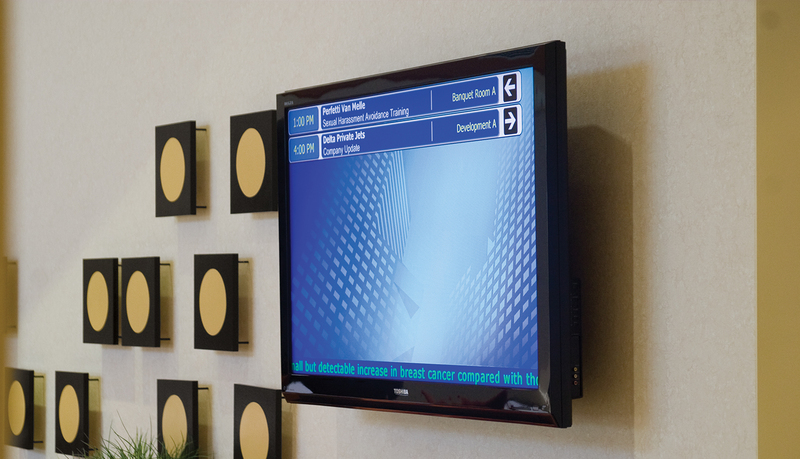 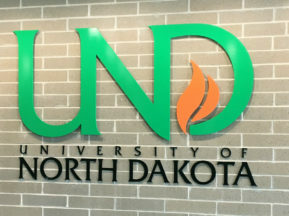 The complete digital signage solution fits seamlessly into the architectural design of the center and it successfully communicates information to visitors, students and staff.